Strike Alpha Holder for Samsung Galaxy Tab Active 2 with secure POGO charging, antenna connection and pass through connector included. Packaged for a professional installation through your installer. 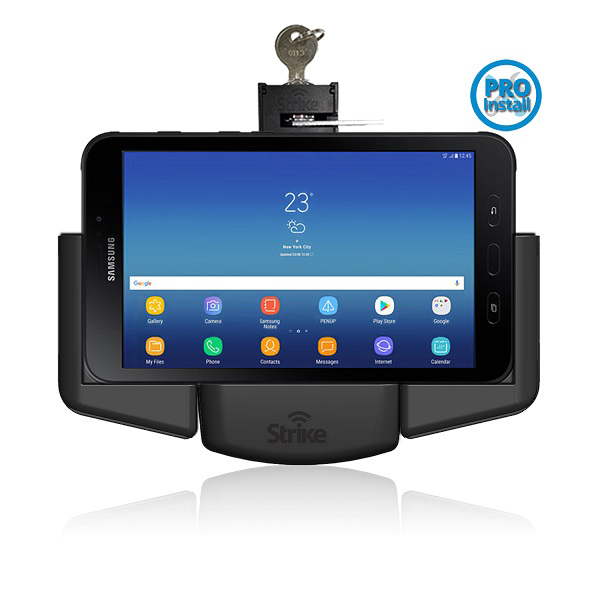 Strike Alpha Cradle for Samsung Galaxy Tab Active 2 Vehicle Mount Holder with POGO charging, antenna connection and pass through connector included. Packaged for an easy DIY installation. 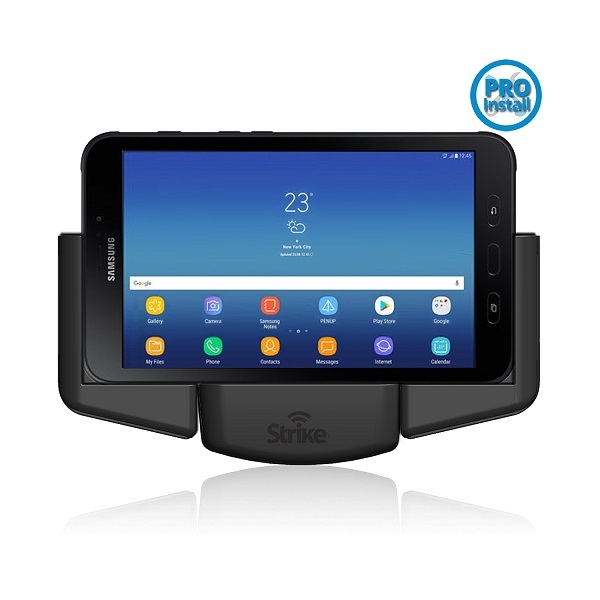 Strike Alpha Holder for Samsung Galaxy Tab Active 2 with secure POGO charging, antenna connection, lockable feature and pass through connector included. Packaged for a professional installation through your installer. 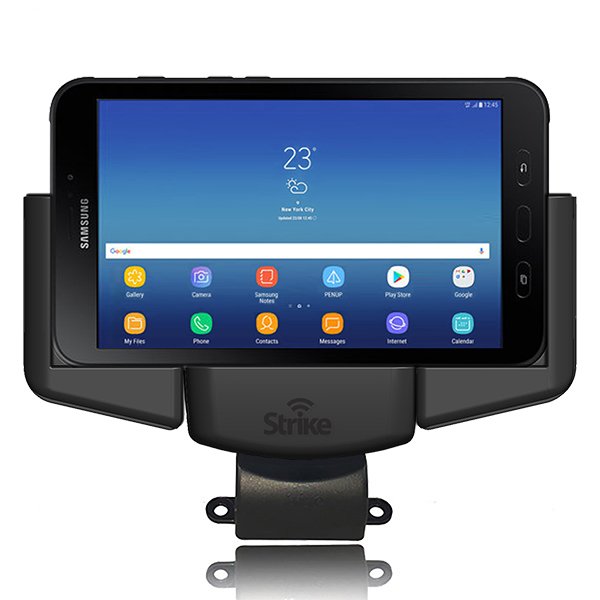 Strike Alpha Holder for Samsung Galaxy Tab Active 2 with secure POGO charging, antenna connection, lockable feature and pass through connector included. Packaged for an easy DIY installation. Strike Alpha Cradle + Desktop Charging Dock for Samsung Galaxy Tab Active 2 with secure charging, antenna connection and pass through connector included. 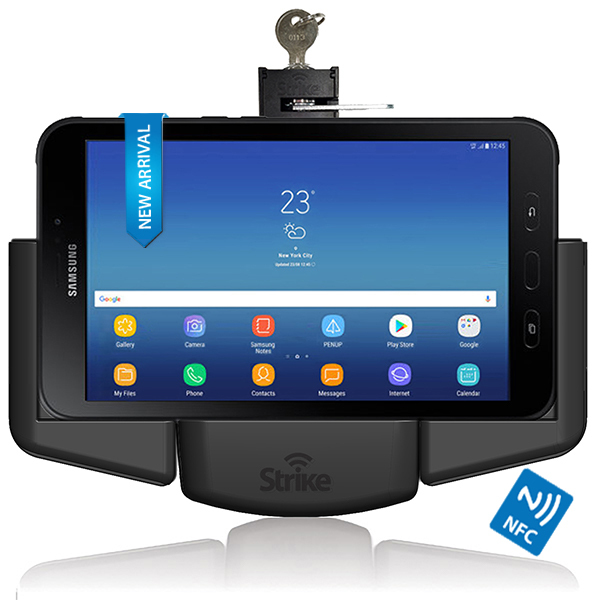 Strike Alpha Holder for Samsung Galaxy Tab Active 2 with NFC extender, secure POGO charging, antenna connection and pass through connector included. Packaged for a professional installation through your installer. 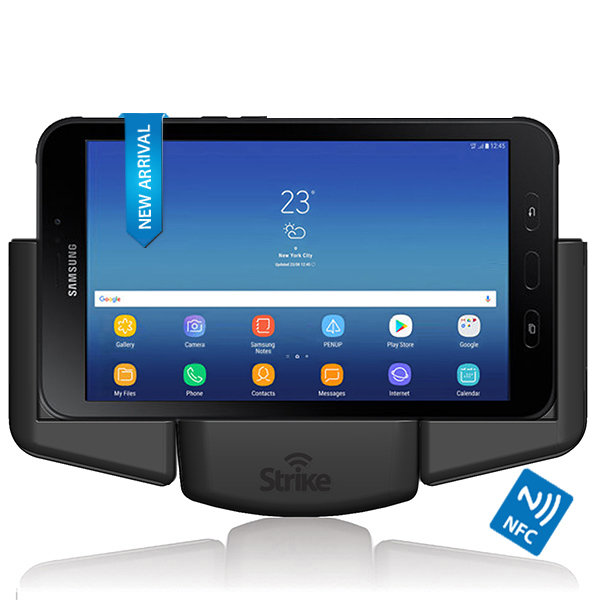 Strike Alpha Holder for Samsung Galaxy Tab Active 2 with secure POGO charging, antenna connection, NFC extender and pass through connector included. Packaged for an easy do-it-yourself installation. Strike Alpha Holder for Samsung Galaxy Tab Active 2 with secure POGO charging, antenna connection, NFC extender and pass through connector included. Packaged for a professional installation through your installer.